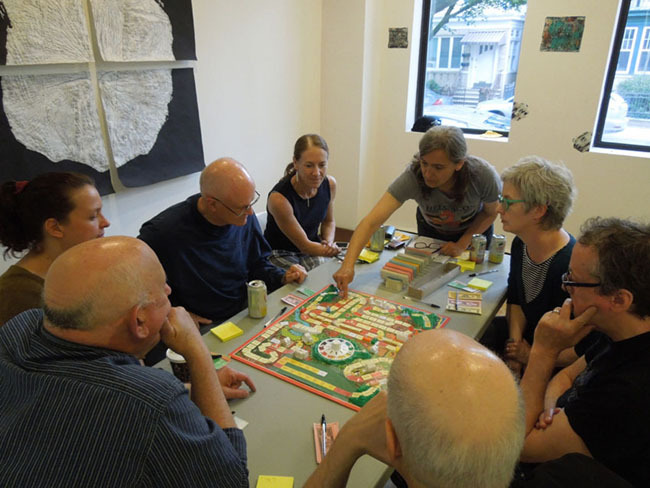 Play-testing session at Stand4 Gallery, Bay Ridge, Brooklyn with the first proto-type of the game. 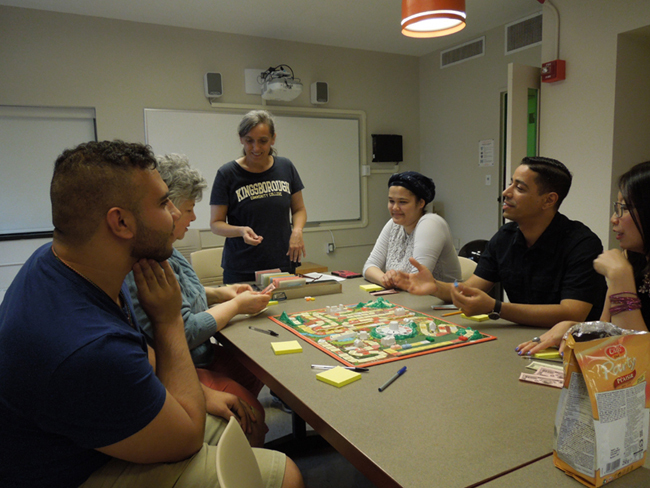 Play-testing session at Kingsborough Community College, Brooklyn, NY. 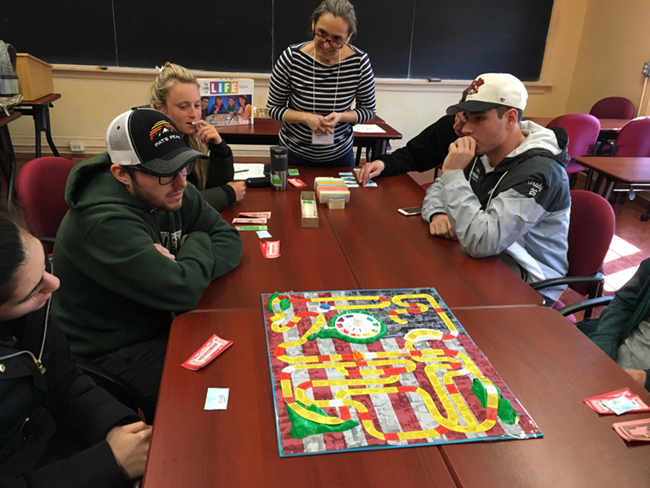 Play-testing session at Wagner College for the IMPACT Conference, Staten Island NY. 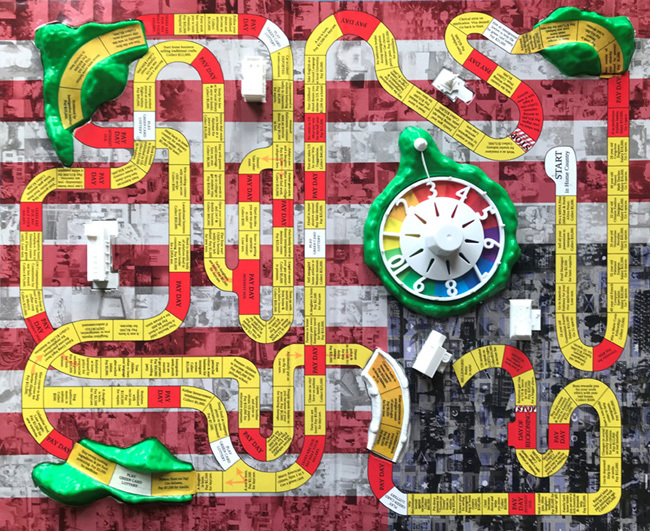 Life: Immigration Game takes the original Milton Bradley Game of Life, and replaces the game tiles with new pieces which are related and relevant to the life of an immigrant to the United States. 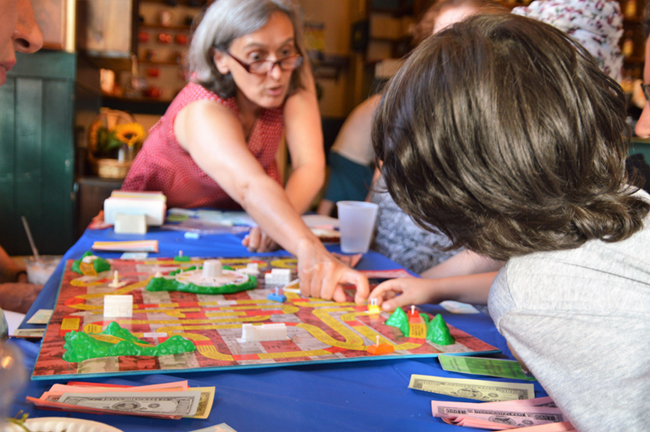 The game aims to educate native-born residents of the United States about the difficulties and joys of immigrating to America: all the cultural misunderstandings and rejections, the loss of a sense of home and belonging, as well as new opportunities and cultural freedom that come with making this radical change in one's life. 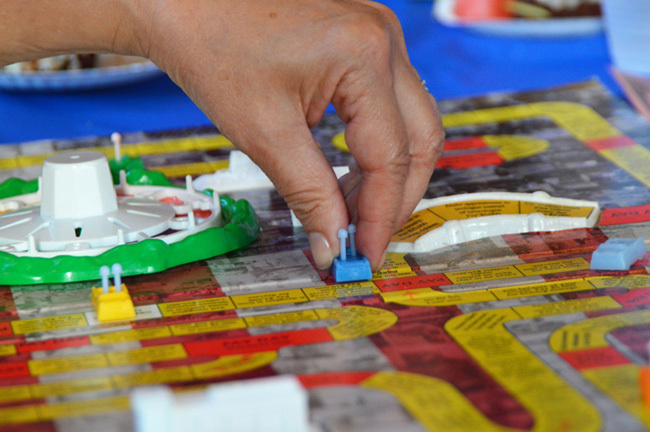 The game comes in the original box, and is meant to be discovered by accident in game cafes. 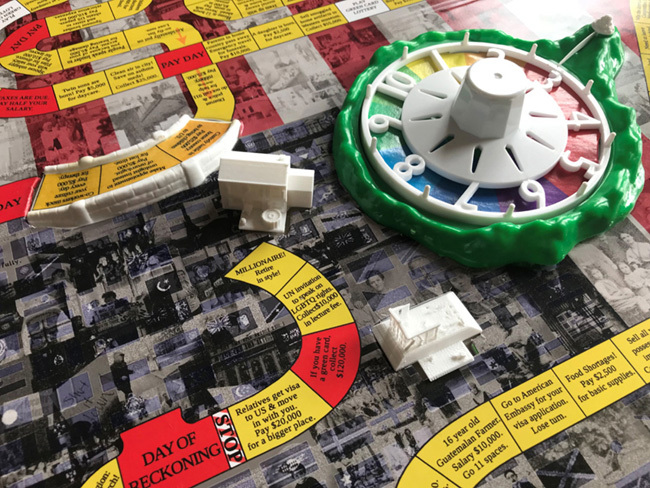 It is currently available at Uncommons and Hex (Manhattan) and Brooklyn Strategist. 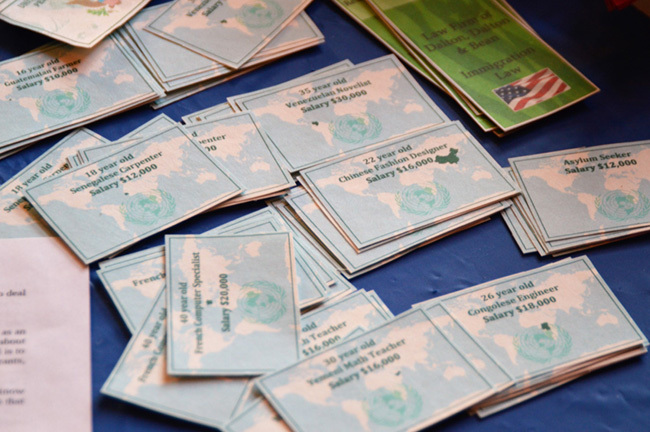 More information about the game can be found at www.LifeImmigrationGame.com.